At its core, the role of a Change Agent in culture change is to help leaders solve problems. At its core, the role of a Change Agent in culture change is to help leaders solve problems. Big problems, small problems. It begins with steady efforts to facilitate change that accrue into a collective transformation—change that takes place over time. It is more like a journey than a race. And the more stakeholders who join this journey, the better. “Culture is built through shared learning and mutual experience,” says Edgar Schein, and journeys come ready-made for both new learning and experiences to share. When reading stories or case studies of change efforts, there is often one or two learning nuggets that resonate to help solve a challenge you’re working through. And as the journey unfolds, there is true value in learning how change teams overcome challenges, sometimes significant ones. In part one of this series, the role of the change agent was introduced as being part-translator, part-geek, and part-transformation specialist. Guiding change is what they do best. At times they are also instigators "speaking truth to power" or helping leaders find the courage to persevere. In part two, here, we’ll cover success summaries from change agents at SHAPE Australia, EI Leadership Institute, and Tomlin Sharkey and Associates to close this brief series. As refurbishing specialists and builders of interior space for the Australian commercial market, the most significant project that SHAPE built was a great place to work. Having measured culture and employee engagement for more than a decade, SHAPE saw their customer satisfaction levels increase markedly and financial performance steadily improve as their culture progressively became more constructive. The next challenge was how to make SHAPE the customer brand of choice. Having experienced the positive results of a Constructive culture firsthand, SHAPE chose to drive performance through behavioral and cultural change. A founder of SHAPE, Gerard McMahon has more than 25 years of experience in the construction industry. His sole focus as internal change agent is supporting and enhancing the company’s organizational culture through individual coaching and group development programs. To ensure that constructive behaviors are modeled throughout the organization, all SHAPE employees are provided ongoing, personal development training utilizing an integrated array of measurement instruments. Originally founded as the Liautaud Institute in 2006, the EI Leadership Institute provides evidence-based solutions for creating a happier, more effective workforce. The Institute is led by CEO Joe Balistreri and CLO Cynthia Kivland, skilled change agents in SEMCO (Systemic Empowered Communities), Servant Leadership, Emotional Intelligence, and organizational culture debriefing. According to ComPsych, workers in the healthcare industry are among the most stressed of any profession.5 Across the US, hospitals face rapid change and disruption. These forces lead to daily demands and high-pressure work which, in turn, often result in professional stress and defensive organizational cultures. This was a familiar scenario at two hospitals in rural Kansas, prompting hospital leadership to seek Kivland’s guidance to address business challenges while shaping a more Constructive culture. Introduce SEMCO communication protocol for the development of small-group processes. Recognized as having greatest impact on patient satisfaction, Nurse-leaders are selected and empowered to drive the SEMCO initiative. Engage the leadership team in increasing their Emotional Intelligence skills. Stabilize the volatile healthcare delivery and reimbursement process, and proactively manage ever-changing healthcare policies. 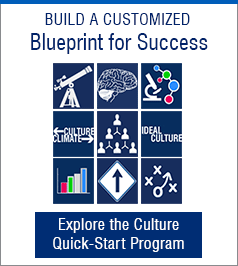 Measure organizational culture and effectiveness and link the three biogenetic needs (Membership, Empowerment, and Meaning) to Constructive cultures. Execution of eight improvement plans specific to the job, department, and/or well-being of staff and individual caregivers. Improved emotional rapport between departments, patients, nursing staff and physicians resulting in increased HCAHPS reimbursements. Balistreri, an advocate of evidence-based solutions shares that people have the above-mentioned biogenetic needs to group, to be empowered, and to contribute in a meaningful way, and that the best work environments allow these needs to be met. Kivland considers the SEMCO approach well-suited for the healthcare industry in that it creates a common communication culture across physicians, nurses, and business providers, and fulfills the biogenetic needs that often go unmet in high-stress healthcare environments. 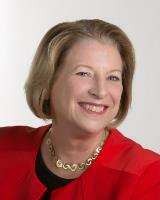 Dr. Linda Sharkey is CEO of Tomlin Sharkey and Associates, a boutique consulting firm recognized as a leader in leadership and global talent development, culture transformation, and coaching for future growth. A seasoned leadership development and culture change expert, Sharkey has delivered countless culture and leadership assessment debriefs in her professional career. This summary focuses on Sharkey's consultation to a CEO on the culture of his rapidly growing startup. Modified to protect confidentiality, the firm’s Circumplex profiles shown here indicate that, even in early startups, culture must be addressed. Note: The Circumplex is Human Synergistics’ proprietary circular graph that provides a visual framework to quantify, describe, and understand organizational culture, personal styles, group processes, the impact of leaders, and how they’re integrated—or out of alignment—with the organization’s values and preferred culture. It breaks down the factors underlying effectiveness into 12 specific styles that are arranged in a circular manner based on their similarity and grouped into three general clusters: Constructive, Passive/Defensive, and Aggressive/Defensive. The Current culture profile above and to the left suggests that the culture of the company was both Passive/Defensive and Aggressive/Defensive [with green (Avoidance) and red (Oppositional and Competitive) extensions, respectively]. The moderate blue extensions indicate that Constructive norms were not sufficiently strong to sustain innovation. In contrast, the blue extensions in the Ideal culture profile (above right) reflect the innovative culture sought by this startup’s leadership. For related information on these cultural styles, visit the interactive Circumplex and How Culture Works models and click through the graphics. The pace of business is changing with dizzying speed due to several factors including globalization, demographic shifts, and rapid technological change. Such factors can negatively impact organizational culture if preventive strategies are not anticipated and implemented. As change agent, Sharkey said the benefit of using a culture measurement solution like the OCI is that “You can anchor the discussion in reality and in the data.”3 The survey also “pushes leaders to think about where they need to be strategically for the future culture,” Sharkey added. The firm made a commitment to shaping and maintaining a Constructive culture over time. Having awareness of the gap between their Current culture and their Ideal, achieving acceptance of their Current culture, and then taking action to move towards the Ideal culture are essential phases in any change process. Awareness, Acceptance, Action—key benchmarks on the change continuum. Sharkey believes that leaders who demonstrate their support for Constructive cultural norms will thrive in the future world of work. Recognize how your current culture is helping and hindering progress toward key strategic priorities. Understand the gap between your Ideal and Current cultures. Use a valid and reliable survey to gain a common language for and measure of culture, its outcomes, and potential levers for change and improvement. Combine culture assessment and development efforts with leadership development, team development, and initiatives to improve internal systems and processes. Partner with experienced culture change agents for perspective and expert guidance. Engage leadership and all team members in additional phases of improvement as progress is measured and confirmed. The guidance and expertise of a change agent can be invaluable to your organization development efforts. 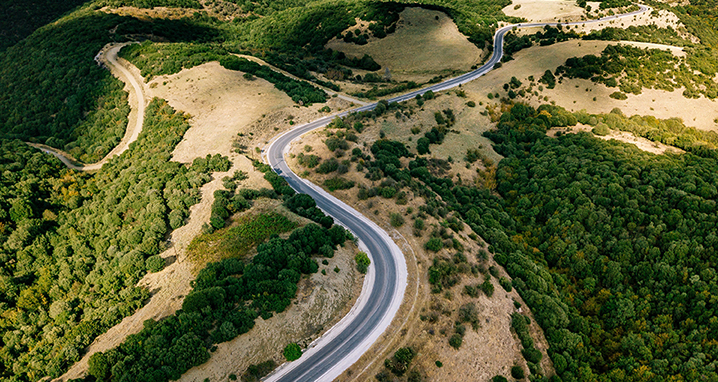 It’s not uncommon for the change journey to experience detours, roadblocks, and the occasional fender-bender. It happens—and when it does, change agents help to identify it, resolve it, and get all parties back on track. Like all journeys, there will be stories to collect and share, and the change agent’s milestone finale will be to help leaders tell their change story. If you’re an experienced change agent working in culture transformation, leadership development, or team effectiveness, I invite you to learn more on how we partner for change and I welcome your comments on our Twitter and LinkedIn channels. 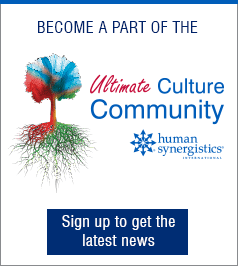 For more insights on culture and how to communicate a change process for optimum acceptance, consider joining Human Synergistics and the University of Wisconsin-Madison at the 1stRegional Ultimate Culture Conference, September 17, 2018. You’ll participate in thought-provoking presentations, interactive sessions, and dynamic networking to learn more about culture. You'll hear from local leaders and consultants who are collaborating with leadership teams to evolve the cultures of their organizations, including Marti Wronski of the Milwaukee Brewers and Angie Zeigler of the Oshkosh Corporation. The conference also features the new Human Synergistics learning experience called “The Culture Journey” and a very motivating final session on overcoming significant culture challenges to impact your organization and society. I hope to see you there! Early-Bird Registration ends August 15 and space is limited—reserve your seat today! Click for Ultimate Culture Conference details. 1 Cooke, R.A. & Lafferty, J. C. (1989). Group Styles Inventory®. Plymouth, MI: Human Synergistics. 2 Lafferty, J. C. (1973). Life Styles Inventory™. Plymouth, MI: Human Synergistics. 3 Cooke, R. A. & Lafferty, J. C. (1987). Organizational Culture Inventory®. Plymouth, MI: Human Synergistics. Kalani is a marketing professional with Human Synergistics and oversees the company's social media, blog properties, and blogger community. With an aim to create, curate, and support high-quality content covering workplace culture and the impact of leaders, he gives voice to colleague expertise via digital media planning and partnering. As an integrated marketing specialist, Kalani believes in the power of branding and its role in connecting how people think and perform in their workplace cultures. Does Culture HAVE to Eat Strategy for Lunch?